No matter the situation, learning how to communicate effectively through email is a vital skill to have while networking your way through the music industry. A well-written email can make the difference between getting a reply from that producer you want to work with or getting ignored. Follow our guidelines below to create a well-written email that will help you make the connections you need to further your recording career. Don’t send business related email from your personal account. It doesn’t matter how tame or crazy your address is, you want to show people that you take career seriously by spending the little extra for a professional email account that ends in your domain name. Luckily, there are ways you can connect your new account to your personal email provider like Gmail, so all of your emails are in one place. Before writing your email, read up on the person (or company) first to understand what they do and ensure that they can actually help you with what you need. Check out their website and social media pages. Not only will this research save you the time and embarrassment of emailing the wrong person, but it will also give you some extra information to put in your email to show the person that you know and respect their work. Take the time to personalize each email and you will be doing yourself a favor in the long term. 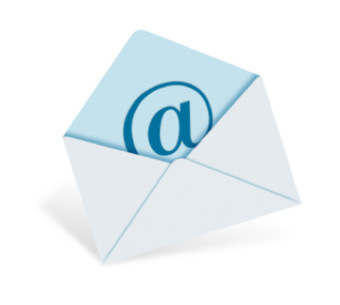 Never start your emails with a non-specific salutation like “Dear Sir or Madam” or “Dear Company.” Always find out to whom you should address your email. Go on to explain why you want to work with this person (e.g. you found their blog interesting, you love their production, etc.). Your recipients will appreciate the effort and a little flattery always goes a long way. Remember that those you are emailing may be extremely busy. They could be checking their email via a phone while in transit or in the middle of a meeting. Keep their attention by keeping your email short and sweet. After a brief 1-2 sentence introduction, state the purpose of your email and make sure to include all necessary info. For example, if you want to book a gig, tell the booking agent what dates you are interested in and what type of setup you need. This will cut down on unnecessary back-and-forth. It is very important to establish the right tone in your email so as not to offend or turn off the recipient. We’ve actually received entire emails written in all caps with multiple exclamation points. This style of writing is often interpreted as aggressive and loud. To avoid this bad email etiquette, use standard capitalization and punctuation rules. Your email signature is the perfect place to promote your sites. Setup a signature for all your emails that includes your name, contact info, links to your website, Facebook Page, Twitter account, and any other relevant site you want people to check out. Don’t forget to update this signature if any of your URL’s change. Your file name should include both your name and what the file is. For example, “(Artist Name) Press Release.” It is important to do this so that the recipient can easily identify your files. Also, make sure that the files are in a universal format. Saving your materials as a PDF will prevent them from being edited or changed by anyone. If you are sending multiple files or large files, consider compressing them into a properly titled zip file to save space. We cannot stress enough how important it is to proofread! Typos are not only unprofessional, but they can change the meaning of what you are actually trying to say. While most email programs have built-in spell checks, they will not pick up “there” when you mean “their”, and you will want to double-check the spellings of proper names and places. Now you’re ready to make a great first impression! Don’t forget to make note of who you have contacted and when. It will make it easier to set reminders for follow-ups.